The Government consultation on plain packaging for tobacco products has been published, and the public battle of ideas has begun. On one side we have the tobacco industry, and the various groups and individuals who speak on their behalf. With their usual inconsistent approach to messages they insist that there is no evidence that plain packaging will work, while in the next breath alarming nervous retailers that this could mean the end for their business. They are also shouting from the rooftops that plain packaging would be a gift for counterfeiters, as unmarked boxes are easy to reproduce. 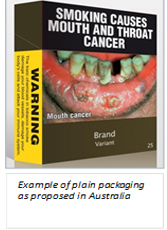 Of course the reality is that “plain” packaging is not simply plain. The term refers to removing branding, corporate logos and fancy designs from tobacco packaging. 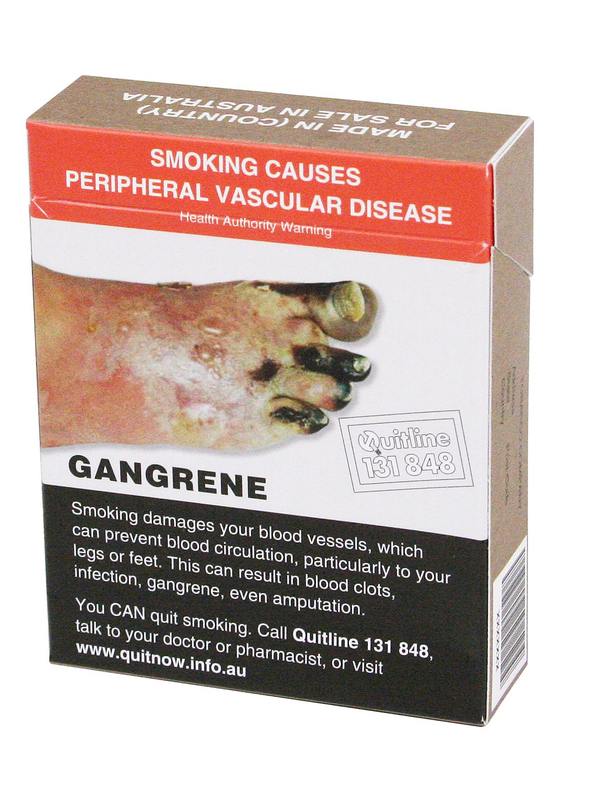 A glance at the design used in Australia, which retains pictorial health warnings and security/duty paid markings shows that these sho uld not be significantly easier to copy, or to print, than the existing branded packs. Industry warnings about counterfeiting, or printing job losses, are unfounded – which is presumably why trading standards and Her Majesty’s Revenue and Customs expressed no concerns. There is clear support for plain packaging from academic researchers, public health professionals and the Scottish public. We at ASH Scotland believe that the debate over the evidence for plain packaging has been settled and that plain packaging will make tobacco products less appealing to young people, resulting in a slow decline in smoking rates as fewer young people are recruited to replace those who quit or who die. The fact that the tobacco companies are so worried suggests that they think so too. There have been a number of recent contributions to the debate on protecting people from second-hand tobacco smoke, a debate spectacularly re-ignited in recent weeks by the British Medical Association’s call for a ban on smoking in vehicles. Working with the British Lung Foundation, Alex Cunningham MP tabled a 10 minute rule bill in Westminster setting out legislation to ensure smoke-free vehicles where children under 18 are present. This was scheduled for debate last week, but has now been delayed until next year. The public debate splits along predictable lines. On the one hand, concerns about the toxic nature of tobacco smoke, its high concentration in enclosed spaces, and the particular vulnerability of some people due to their age, pregnancy, or medical conditions. On the other hand, concerns about regulating private spaces and how such legislation might be enforced. It’s a debate that needs to be well aired, with all the possible options for reducing harm, including legislation, debated and weighed up. At this year’s Scottish Smoking Cessation Conference on 22 November, key findings from the REFRESH project were launched by ASH Scotland and our REFRESH project partners the Universities of Aberdeen and Edinburgh. This project was funded by the Big Lottery Fund, allowing us to explore a promising new approach to reducing the harm from tobacco smoke. At the invitation of mothers who smoked and had children under the age of five, we took air quality monitoring equipment into their homes. Over a period of 24 hours we measured the changes to fine particulate matter in the indoor air, which peaked whenever tobacco was smoked. We then discussed the findings with them. The main focus of the work was not to challenge parents to quit smoking, but to explore with them, through the use of the air quality information from their home, how they could reduce the harmful impacts of tobacco smoke. Our findings were encouraging. Many participants expressed surprise at the high levels of tobacco smoke that were recorded and at how long the harmful fine particles lingered in the air after a cigarette was extinguished and the visible smoke had cleared. There was also surprise at how rapidly tobacco smoke drifts through a home. In some cases, parents had taken steps to protect their children, such as smoking in a different room or opening a door or window, but they learned from the readings that the actual protection these steps gave was far less than they had assumed. We supported parents in the study by encouraging them to think about the practical changes they were willing and able to make to reduce their smoking in the home and vehicles. and actively protect their children’s health. This is the kind of empowering information we need to make available to smokers so they can work with the actual facts about second-hand tobacco smoke. This will give them the freedom to manage their own smoking and choose effective ways to protect their families’ health. In last week’s draft budget and spending review John Swinney reaffirmed the Scottish Government’s direction for preventative spending, proposing a levy from April 2012 on the business rates paid by large retailers who sell tobacco and alcohol products, which will help to fund preventative measures. There were immediate and predictable protests from large scale retail interests. However these retailers currently make substantial profits from selling tobacco and alcohol to people, profits that are likely to increase if a minimum unit price is imposed on alcohol sales. At a time of financial constraints, this far-sighted commitment to preventative spending is both welcome, and key to ensuring Scotland’s longer term success. Tobacco use and the illness it causes costs Scotland over £1 billion annually and tobacco is a major cause of health inequalities and preventable early deaths. Smoking rates in our poorest communities are four times higher than those in more affluent parts of Scotland, widening the health gap in our country. Recently, more than 30 organisations including Oxfam and WWF urged MSPs to think beyond measuring economic growth and to define measurements that aim to create a flourishing nation that is healthy in terms of its wellbeing, equalities and the environment. Tobacco control has a central role to play in achieving this. Tobacco use is a risk factor that is common to the major non-communicable diseases (NCDs) such as cancer, cardiovascular disease, chronic respiratory disease and diabetes. These diseases are responsible for some 35 million deaths annually, of which 80 per cent occur in low and middle income countries. Following a major UN summit on NCDs on 18/19 September, the final political declaration affirmed the role of the international Framework Convention on Tobacco Control in reducing the international disease burden caused by the tobacco epidemic and underlined the “fundamental conflict of interest” between the tobacco industry and public health. The declaration also recognises the importance of price and tax measures in reducing tobacco consumption and – like the Scottish Government – affirms the key role of prevention measures in reducing these diseases. At the meeting, real political leadership was shown by the Australian Government, which announced it will provide an additional $700,000 to the World Health Organisation to increase the global fight against tobacco smoking. Announcing the contribution, Australian Health Minister Nicola Roxon commented: “Tobacco companies are fighting for their profits; but we are fighting for people’s lives”. Tackling tobacco now is a worthwhile investment in Scotland’s future and necessary to protect our children. I trust our politicians in all parties will show similar vision and commitment to the future. Smoking is one of the major causes of cardiovascular disease, and smokers are almost twice as likely to have a heart attack as people who have never smoked. A recent study from Harvard Medical School suggested that comprehensive stop smoking advice for heart attack patients could save thousands of lives at a relatively low cost. Yet many smokers are well aware that quitting smoking can be hard to sustain and relapse can be a real problem. For some, time runs out. Last week saw reports of research in Italy that tracked over 1200 smokers who were hospitalised for acute coronary syndrome (crushing chest pain that can signal a heart attack) and who had all quit smoking while in hospital. All said they intended to stay smoke-free. However, within a few weeks of their discharge just under a third started smoking again with about the same number relapsing within the first six months. After a year 37% remained smoke-free. Having adjusted for age and other variables, the researchers found that the people who started smoking again were three times more likely to die within a year – five times more likely if they resumed smoking within ten days of leaving hospital. Previous research in Europe underlines the urgent need for stop smoking advice for patients with heart disease, and suggests that younger and less educated patients may have the most trouble quitting. Stop smoking support is an effective and a cost-effective medical intervention that can and should be offered to smokers routinely in hospitals. In the Italian research it was noted that the patients had received a few short stop-smoking advice sessions while they were in hospital, but that no further support or treatment was offered after their discharge. 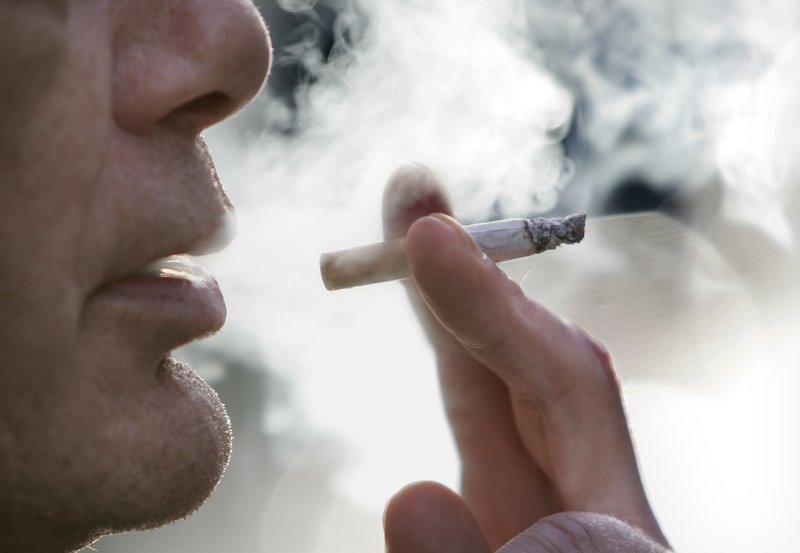 With cigarette smoking held to be the single greatest modifiable risk factor for death from ischaemic heart disease and malignancy in the developed world, there are strong arguments both for prioritising smoking cessation for in-patients, and for ensuring a joined up pathway of care and support that supports them to stay quit after they leave hospital. Lives depend on it. Last week the British Medical Association at its annual conference called for an overall ban on smoking while driving. They also passed a motion demanding that tobacco companies be required to publish all payments to politicians and political organisations. Setting aside the interesting question of tobacco companies seeking to purchase influence, there is growing concern over tobacco smoke exposure in cars. 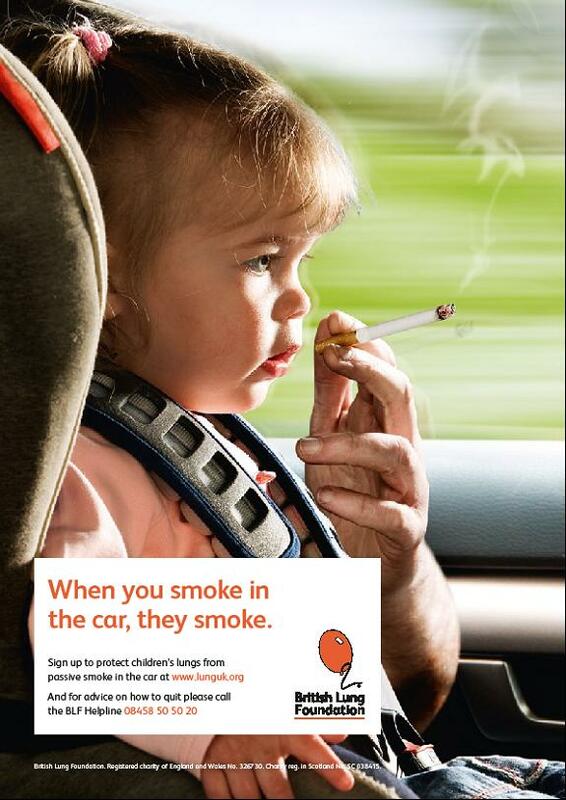 The British Lung Foundation is calling for a ban on smoking in cars with children as part of their Children’s Charter, a call supported by the Royal College of Physicians, and the Chief Medical Officer for Wales, Dr Tony Jewel. MPs recently backed a ten minute rule bill introduced by Alex Cunningham MP for legislation to ban smoking in private vehicles with children present. So where are we in Scotland? ASH Scotland’s polling suggests that a majority of adults – 88% in our recent YouGov survey – agree that second-hand smoke is a risk to children’s health. Levels of tobacco smoke in cars are very concentrated, and normal air conditioning and even opening windows don’t solve the problem. There is clear evidence of the health harms caused to adults and children from breathing tobacco smoke. ASH Scotland’s Beyond Smoke-free document published last year called for a debate over whether there should be legislation on smoking in cars but beyond that we have called for a widespread effort to raise awareness of the toxic nature of tobacco smoke. The tobacco smoke in cars is certainly concentrated, but tobacco smoke exposure in the home is a huge concern and likely to be a greater source of exposure for children. This is not an area for legislation, but we need a broader public awareness and understanding of the toxic nature of tobacco smoke, and a better communication to parents and carers of what does and doesn’t work to reduce the risks, especially to children. 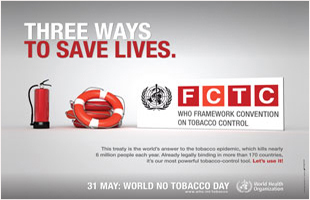 This year’s World No Tobacco Day (31st May) has helped to throw into sharp focus the global cost of tobacco industry profiteering. With increasing restrictions on their marketing and promotional activities in developed countries, tobacco manufacturers have turned their attention to aggressively opening new markets in developing countries, where controls are lighter and they can exploit marketing and promotional methods long outlawed here. The developing world’s share of global cigarette sales has risen sharply, to over 70%. If current trends continue, it is estimated that one billion people will die from tobacco in the 21st century, and the majority will be living in countries that can ill afford the burden of disease and early death that tobacco causes. Tobacco companies headquartered in the UK continue to push their lethal and often addictive products out to countries where the human aftermath will be intolerable. It is time to hold tobacco companies to account for their role in this rising global epidemic. Congratulations to journalists at the Guardian for winkling out further covert tobacco industry lobbying being channelled through a retailer representative organisation. At a recent British American Tobacco AGM, company chairman Richard Burrows confirmed that the tobacco group had funded the National Federation of Retail Newsagents (NFRN) and attended meetings with the group and lobbyists Hume Brophy to discuss the campaign against the point-of-sale move – despite a previous denial. This validates the fears previously expressed by a past president of the NFRN that the organisation was being shamelessly used by tobacco companies to further their own campaigns, and must add to the concerns of elected representatives who have previously been targeted with ‘Save our Shops‘ lobbying that purported to come from retailers but had in fact been funded and motivated by the Tobacco Retailers Association, a tobacco industry front group. Last week, the Sco ttish Licensed Trade Association publicised an event to discuss proposed retrograde moves for Scottish pubs, including reintroducing smoking areas, and using ventilation to tackle second-hand tobacco smoke. Unsurprisingly given these backwards looking, expensive and unworkable proposals, the event is part funded by the Tobacco Manufacturers Association; an organisation of just three members, British American Tobacco, Gallaher Ltd (a member of Japan Tobacco), and Imperial Tobacco. It is also being organised by Oliver Griffiths who was involved in promoting the tobacco industry’s AIR (Atmosphere Improves Results) campaign. AIR targeted retailers, presenting the discredited and expensive solution of ventilation as an alternative to the smoking ban. Organisations representing the licensed trade and retailers in Scotland do their members no favours by accepting money and taking direction from tobacco companies. In the end, their credibility as trade representative bodies is being used by the tobacco industry to undermine or delay effective public health measures which will save lives. More questions need to be asked about the tobacco industry’s vested interests and its abuse of natural allies to shore up its lethal business. Will parties take on challenge to tackle smoking? Diseases caused by tobacco account for a quarter of the adult deaths in Scotland every year. In Scotland’s deprived communities, where smoking rates remain high and tobacco use heavy, deaths from smoking are at double the number of those in more affluent areas. Behind each death that occurs there are probably around 20 people suffering from disabling diseases caused by tobacco. The part that smoking plays in our health inequalities gap must never be underestimated, and in this pre-election period of campaigning it is good to see many of our politicians acknowledging the need to continue to tackle tobacco harm directly. The SNP, Scottish Labour, and the Scottish Green Party have all committed to introducing a new tobacco control strategy to build on the progress that has been made in reducing tobacco’s harmful impacts in Scotland. Further, four of the five major parties – the Green Party, Scottish Liberal Democrats, Labour and the SNP – have also made specific commitments to supporting smokers to quit, prevent young people from smoking and reduce the impact of second-hand smoke on children. It’s good to see that extending protection from tobacco smoke remains a concern, with a particular focus given to protecting children from breathing in this toxic substance. It is time for the next Government to seize the opportunity to develop a new comprehensive, robust new strategy on tobacco and to build on and continue the good work and progress of the last twelve years of a Scottish Parliament. I’m glad Scotland’s political parties have for the most part acknowledged that need. The challenge now is for our politicians to work together to continue to move Scotland towards a healthier, brighter future without tobacco. This Saturday 26 March, looking back with the perspective of five years of smoke-free public places, we can celebrate the real benefits this law has brought for Scotland. Tobacco smoke is toxic. In the early days after the smoking ban came in, bar workers reported rapid improvements in their health. With time and research we saw further clear health benefits including a 39% reduction in second-hand smoke exposure amongst non-smoking adults and children, a 17% reduction in hospital admissions for acute coronary syndrome, and an 18% reduction in child asthma admissions to hospital (as against an increase of 5% in the years leading up to the ban). More surprising were the unintended beneficial side effects. The legislation was passed to protect people from having to breathe tobacco smoke in places where they worked and socialised. However the debate around smoke-free and greater awareness led to many adults realising the need to protect children’s health, and taking active steps to reduce their exposure, with children reporting an increase in a complete ban on smoking in their home one year following the ban on smoking in public places. However despite the excellent health outcomes that smoke-free legislation has brought Scotland, the harm from breathing in tobacco smoke remains. Over a quarter of Scottish children are still exposed to tobacco smoke in their own home, and in Scotland’s poorest areas more than half of babies and young children are regularly breathing in this poisonous substance. We know that the most dangerous parts of tobacco smoke are the very fine particles which are not removed by ventilation or opening windows, and which seep through a home despite closed doors. Building on the success of smoke-free laws, we need social marketing campaigns to reach out to communities and re-emphasise the harmfulness of tobacco smoke and the particular risks to children, and we need to find effective ways of supporting families to reduce the harm. The smoke-free legislation would not have been passed without the strong voices and campaigning of many health and civic organisations and the commitment of MSPs who wanted to reduce the harm caused by tobacco smoke. This courageous legislation is an excellent example of devolution working for the people of Scotland and it is no surprise it is often cited as the best achievement of the Scottish Parliament, and taken by other countries as a gold standard example to follow. It is time for the new intake of MSPs in May to now look at how else they can protect people, especially children, from the harmful effects of smoking and second-hand smoke. Australia want to be the first country to introduce plain packs in 2012. The Westminster Government’s Tobacco Plan for England, announced on 9 March – No Smoking Day – is encouraging in setting out plans to consult on standard packs for cigarettes, a measure that would have to be considered and implemented at UK level. Jeremy Blackburn of Japan Tobacco which produces brands including Silk Cut and Benson & Hedges has stated, “marketing restrictions make the pack the hero". Cigarette packs are now designed and branded as carefully as perfume boxes and for similar reasons; this is a product that relies on its image to recruit new consumers. Standardised packaging shuts down the very features that are designed to attract targeted audiences; the holographic patterns that sparkle under club lights, the i-pod style earphone decoration, the slim elegant purse-sized packs. 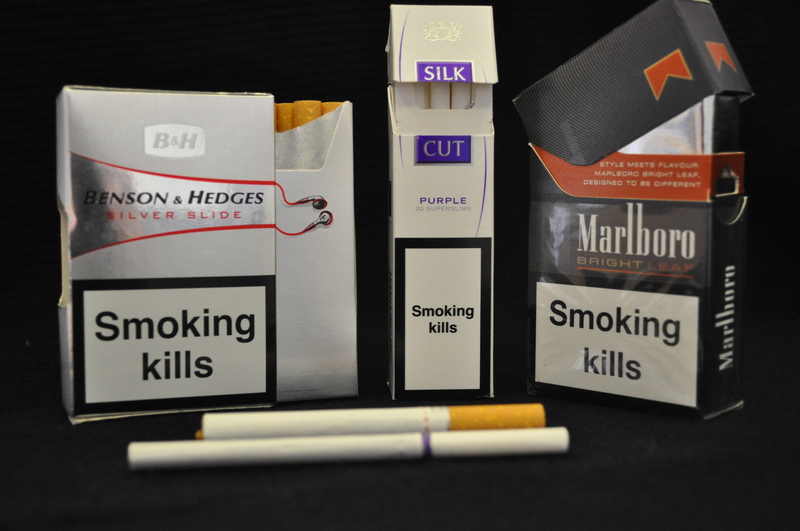 Plain packs help the health messages to stand out, showing the reality of the product. Strip away the branded imagery and the product itself starts to look distinctly uncool. Less impressive is the coalition government’s proposals on the point of sale display ban in England, both delaying its introduction and allowing for a permitted display area around a quarter of the gantry size. Displays of cigarettes in shops are proven promotional devices, and the branding they push is noticed disproportionately by young people. Kids experiment with the most visible brands. In many cases these display gantries are largely paid for and installed by tobacco companies, and are often placed right behind the sweetie counter. Covering up these promotions won’t make much difference to established adult smokers, who will still be able to go where they normally go and buy what they normally buy. However this measure will change the environment, as post-implementation research from Ireland suggests, to a more supportive one for young people staying smoke-free. 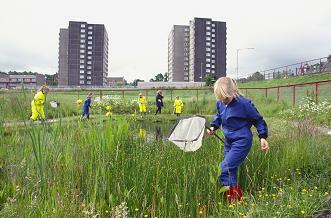 The Scottish Government has announced timescales for implementation in line with those set out by Westminster. They need to stay strong on the permitted display size to stay true to the intentions of the legislation. Ending point of sale displays is an evidenced measure that is designed to prevent young people from becoming hooked on tobacco, and I trust that the Scottish Government will continue to show vision and commitment to bringing in the effective tobacco control measures voted through in Scotland. Going to court is part of big tobacco’s strategy.